We get a crash course in proper shop-keeping courtesy of Javier Gimenez of Digital Sun Games, developer of the critically acclaimed indie title – Moonlighter. Let’s Go Pikachu + Eevee is a MASSIVE success for Nintendo…just don’t delete your save file or you might regret it. And finally, The Hype Zone gives us a closer glimpse at Link’s Master Sword…or lack thereof. This is Nintendo Duel Screens: Episode 74!! Javi joins us all the way from Spain. Internet connection was spotty at time. Please excuse audio quality. We are also proud to announce the launch of our very own home of all things Duel Screens – DuelScreens.com. While we are still early in the development phase, we are excited to have the opportunity to entertain you in more ways than just our podcast. Nintendo Duel Screens is officially on Patreon! 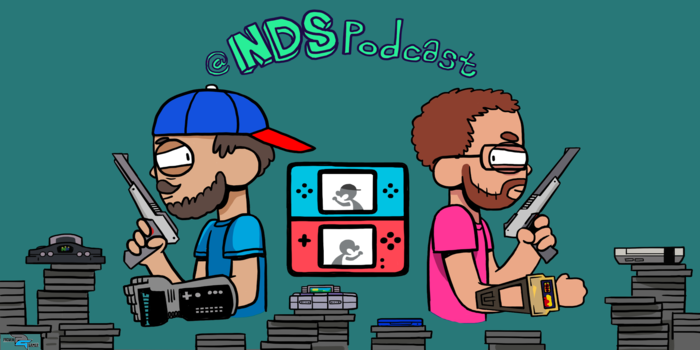 With as little as $1, you can get access to NDSPodcast’s Super Secret Discord Channel and chat it up other fans as well the hosts…and perhaps with some of the best developers in the gaming industry. What are you waiting for?! Subscribe/Review Nintendo Duel Screens in Apple Podcast, Google Play Music or RSS. Subscribe to the BRAND NEW Duel Screens YouTube Channel! Be sure to follow the show on Twitter and join the NDSPodcast Facebook Group. You can also email NDSPodcast here. Questions/Feedback are addressed weekly so don’t be shy and share your Nintendo stories! Proven Gamer is now a proud partner of Humble Bundle! Visit the link HERE to help the cause! Follow Sour Note Productions here. Game Stuff 67 – WTF Sony?!? !